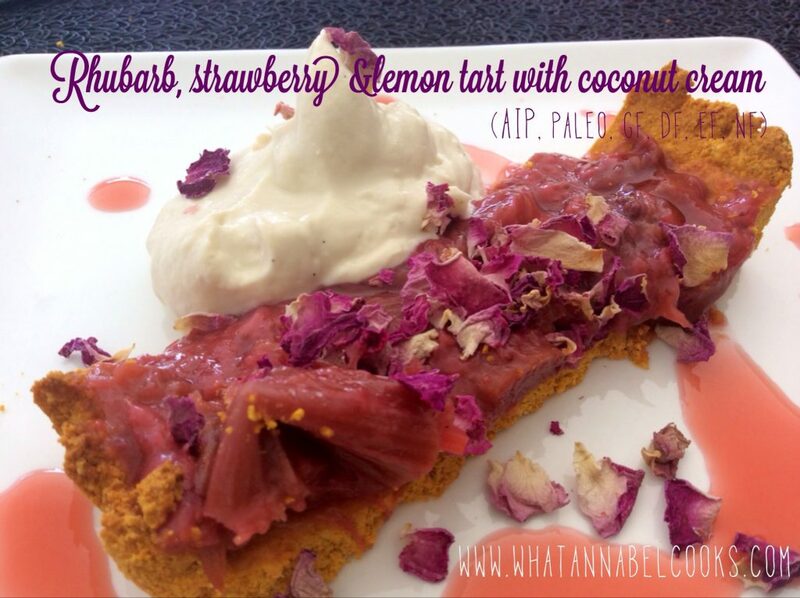 I must say that it was how pretty this tart looked that made me want to make it! The second thing that intrigued me was that it was made with sweet potato flour. If you follow my Facebook page you might remember the staged process it was to make the sweet potato flour! So after embarking on making the sweet potato flour, I had to use it up so I decided to make it as a ‘bonus’ for one of my recent cooking classes. The recipe comes originally from AIP Lifestyle who have some great recipes, even if you’re not restricted by an AIP lifestyle! I added rhubarb and some pretty little dried rose petals to mine and served it with the ‘custard’ from the lemongrass & kaffir lime coconut icecream (ie just wasn’t churned in the ice-cream machine) but if dairy isn’t an issue it would be lovely (as are all tarts in my opinion) served with cream and ice-cream. Place strawberries & rhubarb in a large pot and add lemon juice and maple syrup. Bring to simmer and cook until tender. After strawberries & rhubarb has stewed, place a strainer over a bowl, and carefully pour hot mixture into strainer. Then place strained fruit into a separate bowl. Retain the liquid if you want to make a syrup. To make the syrup, simmer the liquid until it’s reduced and thickened slightly. Spoon cooled fruit into the cooked tart. Chill completely. 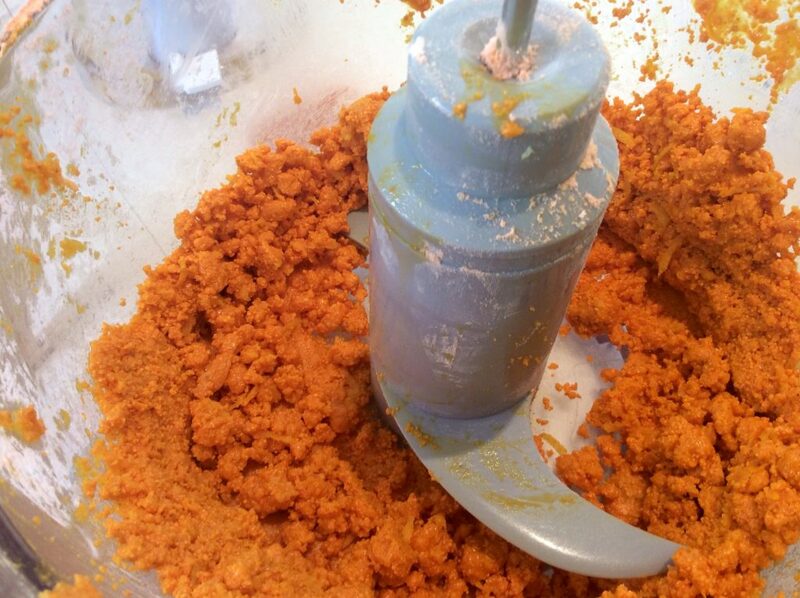 In a food processor, add tapioca and sweet potato flour. Add also 1/2 cup coconut oil, 1/2 tsp salt and lemon zest. Pulse/blend until mixture is like wet, smooth sand. In a long tart pan, press the flour into the sides and bottom of the pan. Be sure to evenly coat the sides of the pan with flour. Press in with your fingers. Bake empty tart for 10 minutes 180C/350F degrees – or until slightly browned. (The original recipe said 20 mins but mine was cooked after 10min). Let cool. Remove tart from pan leaving only the bottom of the tart and slice. 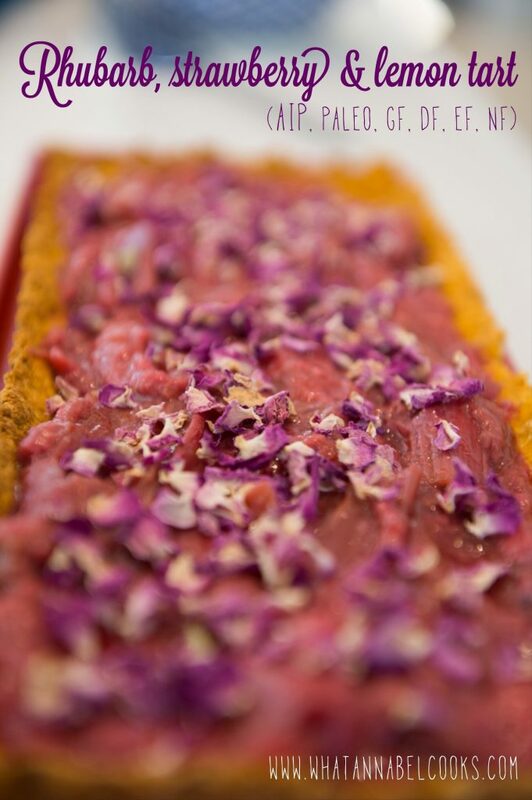 Serve with sprinkled dried rose petals, syrup and coconut custard/ice-cream or regular ice-cream. Original recipe by AIP Lifestyle.